COMPASSIONATE CLIMATE ACTION: 66 Days - Wanna Do Something About Climate Change FAST? 66 Days - Wanna Do Something About Climate Change FAST? Go veg. It's that simple. Give up meat, and as much dairy as possible. Do it as quickly as possible. The meat/livestock industry is responsible for so much methane greenhouse gas that cutting our meat intake as rapidly as possible could give us a fighting chance to save the planet. Besides methane, a potent greenhouse gas (livestock produces almost 40% of the world's methane), animal agriculture also adds nitrous oxide (296 times more powerful than carbon dioxide as a greenhouse gas) and hydrogen sulphide to the atmosphere. 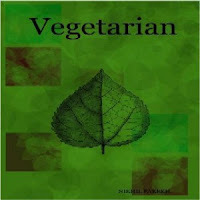 For three wonderful slide presentations (in pdf format), as well as a vegan/vegetarian cookbook, visit http://sites.google.com/site/compassionateearth/downloads. And please pass them on!